Doing shift work I always found it hard to control my eating, finding the time to workout and most of all my sleep pattern was all over the place. I knew I was getting bigger and more unfit, even getting out of breath running to the car in the rain but didn’t want to admit it to myself for so long. But with my wedding creeping up I realised something needed to be done, as I didn’t want to be the laughing stock at my own wedding. Having been to personal trainers and gyms before I never found one that I felt fully at home in, it was always a case of “I’ll see you next week” and with no other contact or guidance outside of the session I would have struggled with food and workouts alike., therefore never really had anything to show for the money I spent. So after following the Evolve Facebook page for several weeks, I finally plucked up the courage to book in for a consult with Aaron. I knew from that 1st meeting I would fit in and Aaron would push me and help set realistic goals completely for me. At Evolve you are cared for and the coaches want the best for each and every one of us. You don’t get a run of the mill exercise and food plan, you will get specific guidance to you. Now I am so much more confident in my own skin, sleeping better and certainly not afraid of getting out of breath running to the car in the rain! My posture has improved and I move a lot more efficiently. In my 9 months with Evolve I have lost over 50lbs, and that was with my wedding and 3 week honeymoon in that time. My strength gains have gone through the roof and I still amaze myself. Since joining Evolve I have deadlifted 100kg, squatted over 100kg with chains and more recently became the fastest girl to 50 calories on the assault bike. I love that everyone knows my name and the coaches will check in during the week to ensure I am on track and not struggling with anything. In Evolve we are all like-minded and will help each other as we become better versions of ourselves. The private Evolve Facebook group is also great for motivation, recipes and sharing our wins. I have finally found a place where I am part of a community and no longer just a number on the books. You will not regret joining Evolve, in fact it will be the best decision you can ever make for yourself and you will wonder why you didn’t start sooner. Of course the 1st session will be the hardest, as you will not be used to the movements, but it really does get easier and you will be made to feel welcome by everyone. Please don’t fret as there are no mirrors, no egos and certainly no judgement from anyone. So don’t think about joining, just do it! 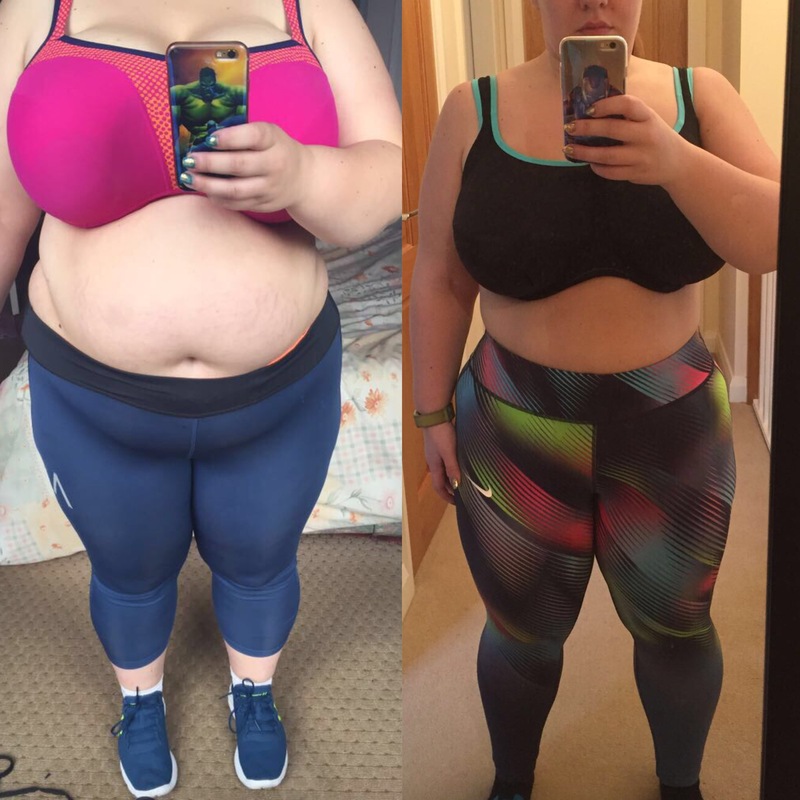 “Everyone thought I was crazy and questioned me, why would anyone travel a 50 mile round trip “just to do personal training”. I don’t regret my decision as I have gained so much more than just loosing the pounds. My mindset has completely shifted for the positive, I’m sleeping better with my overall mood improved and I’m making some serious strength gains. There has been absolutely no restrictions on what I can or cannot eat, just make smarter choices. You see it’s the small daily habits and consistency that all add up to make great changes! It may have taken 8 months for me to loose 50lbs and that’s with getting married and then a 3 week honeymoon. To some that may seem a lifetime because they want a “quick fix” but it’s about being able to live your life and being sustainable. I have been to Personal trainers before but it wasn’t very personal, that’s where Aaron and his Evolve team are different. It’s not a case of “I’ll see you next week” , they actually care and want us all to succeed beyond what we think is possible, ensuring the movements are done correctly and we are as mobile as possible. Aaron has given me the tools and knowledge to be the best version of myself. He has never gave up on me even when I was getting frustrated if the weights in the gym weren’t going up or when my own weight was at a plateau. Being part of the Evolve family is amazing and filled with like-minded people, building each other up and we are all success stories. Prev Post: WHY YOU CAN’T STOP OVEREATING! !